The first two weeks of February are a blur for all of us in the flower biz. Thank you for taking time to catch up on what’s up at Dos Gringos. In honor of your time and the upcoming holiday, I’ll keep it short and sweet. Imperfect timing, great intentions. Late last month we e-mailed a survey to all of the clients in our database. I shared in December that we’re looking at expanding our product line. We want and need you along for the ride. Would love your feedback on everything from vase life to selection – what’s missing? -- to service from our sales team. It will influence our planting and personnel decisions, what trade shows we attend, and future investments. Please let us have it. There are new trends in arrangements and bouquets, and speed to market is everything. A fresh perspective is in order. 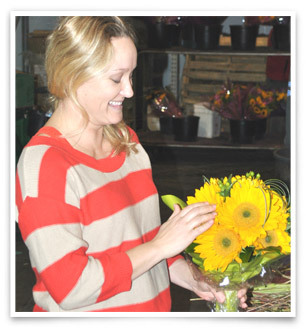 Meet Robin Mooney, our Floral Design Coordinator, in the profile below. She’ll give some new love to our design department and challenge us to mix it up a bit and get “it” out there better and faster than anyone else. The pillars of this business haven’t changed in over 20 years. We chose them very deliberately when we started, and we still believe that success in these three areas means success for all. We’ve made a recent investment in more quality control Team Members. 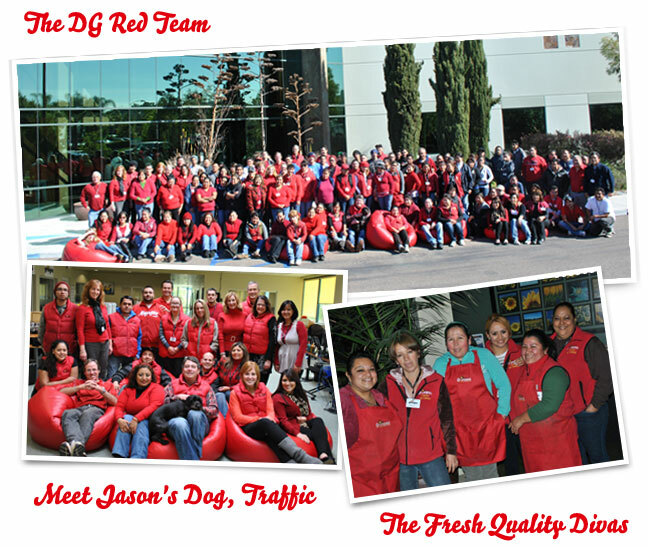 More red vests and aprons on Gabe Gill’s team mean greater quality for you and your customers. We also have plans for a lot more training and grading at the farm level. A recent plant redesign will increase throughput on bouquets. We want them handled less and in water faster, period. Our weekly Quality Council is a cross-functional team charged with addressing quality issues the instant they arise. The faster we can move from assembly to water, the better. Updated forecasting tools and 52-week planning and planting reports help align inbound product with outbound product for greater freshness, less waste. New flower varieties on the horizon…please help by getting those surveys in! New programs, news ways to sell flowers, merchandising help, and marketing info. As we embrace a customer-driven mindset, we want to provide a more complete package end to end. That’s enough out of me. Thank you for being a valued partner. Happy Valentine’s Day! Her first job was in a flower shop, and she hasn’t left the business since. She has worked for growers, wholesalers, and designers before striking out on her own to design arrangements for weddings and special events. Now she brings her passion and expertise to Dos Gringos clients full time. Welcome, Robin! Can’t wait to see what you come up with next. What trends do you see? Bouquets with less elements, clutch style color grouping, and well-displayed. If something looks like it needs a lot of re-work, or if someone can’t picture it on there dining table, it’s a tough sell. A lot of bouquet makers do the same thing over and over again. We want to avoid that rut. There is a lot of competition in the bouquet world. It’s about vision, style and designs that are well thought out. We want to create conversation pieces for consumers, something to catch and hold the eye of our large grocery store base. January was a whirlwind. We had a great win when four bouquets were chosen by a major grocery store client. I’m in the flower factory with Gabe Gill and his team. It’s so exciting to stand shoulder-to-shoulder with these team members and introduce my design abilities. I’m working on the summer line and prepping that catalog. I want to stay right in step with our sales team and several steps ahead of the competition. 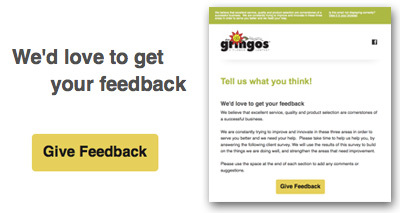 What's great about Dos Gringos? The emphasis on team. The people here work beautifully together – not unlike the items and colors in a well-designed bouquet. The positive vibe and a can-do spirit are contagious. I am inspired to pass it on. I spend most of my free time with my husband and three kids. I love volunteering at my girls’ school, and the whole family enjoys walking, hiking, and biking. HEY GRINGO FANS, FOLLOW US ON FACEBOOK!